A sheltered stretch of water between the island and the mainland forms the natural harbour of Berehaven. The island measures approximately 7 miles in length, 3 miles wide and has a permanent population of 210 inhabitants. Access to the island is superb with Bere Island Ferries and Murphy’s Ferry, based at either end of the island. Among the various historical attractions the island holds are a Martello Tower, The Old Lighthouse and The Batteries, (19th century fortifications). 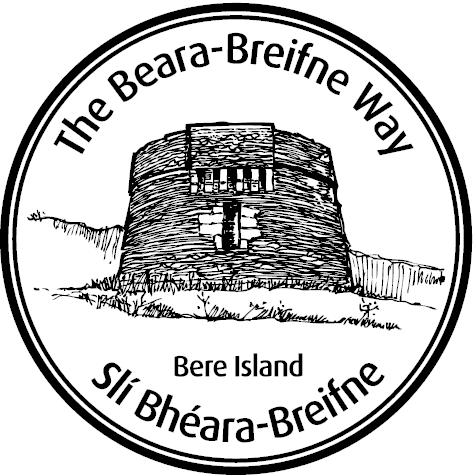 For the active person there’s the Beara Way Walking & Cycling Routes with beautiful views never to be forgotten. Places to relax and enjoy a pint or a meal include the Hotel, Ballinakilla and Dessie’s Bar, Rerrin where you can relax and enjoy the craic with a pint, Kitty’s Restaurant where you can wine & dine in a comfortable atmosphere, Rerrin Post Office & Food-Store. For those of you staying for the night, a visit to the Admiral’s House Hostel is a must. For the keen sailor there’s the Lawrence Cove Marina where you can be assured your boat is safe while you avail of the facilities such as showers, laundry and diesel. Bere Island is part of the ancestral home of the O’Sullivans in Ireland and forms a stage of the Beara-Breifne Way which is based on the historic march of O’Sullivan Beara in 1603.